Made a trip to the library to renew some books and grabbed another one. 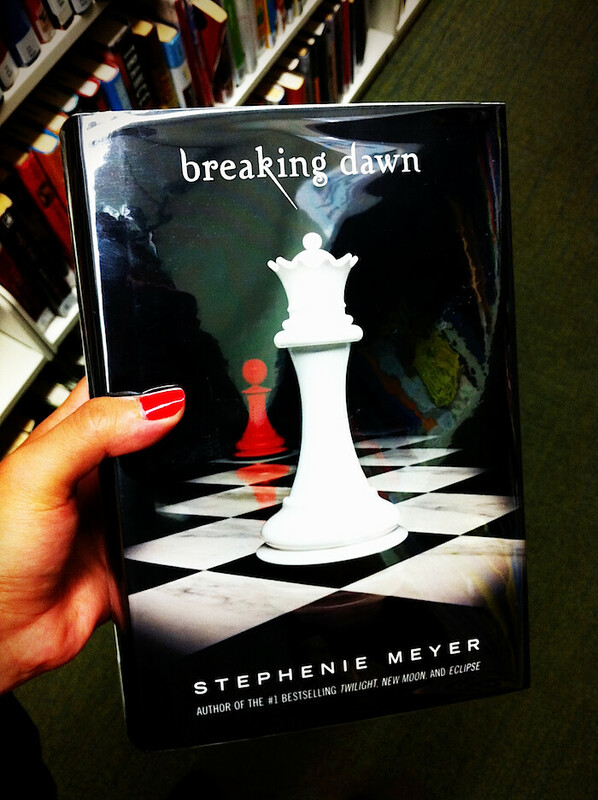 The fourth book of 'The Twilight Saga' "breaking dawn" was in. Am I the only one who loves brand new hard cover books? The bff still cannot believe I got sucked into this vampire love novel but what can I say, I am guilty. I haven't even had time to finish book one but I should by this weekend so I can't wait to watch the movie & continue onto the other books..